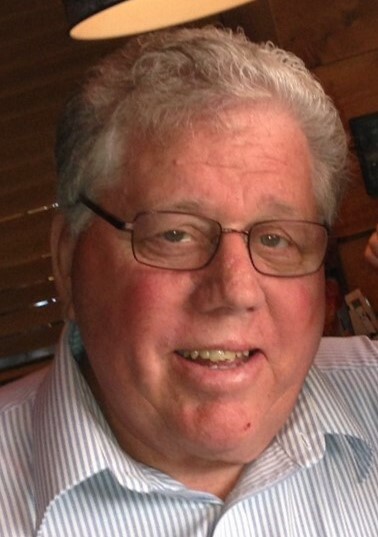 James R. Slozat, 71, of Jamestown, passed away unexpectedly on Sunday, March 24, 2019, at UPMC Horizon in Greenville. Born April 19, 1947, in Meadville, he was the son of Rev. John and Ethel Bullis Slozat. He married Julia Hyde on September 6, 1975. Jim was a 1965 graduate of Linesville High School where he played basketball and was known as Jimmy Jet. He then started working for the Pennsylvania Department of Transportation as a laborer and later as a foreman. In 2005, after 39 years of service, he retired as Assistant Supervisor. He also was a South Shenango Township Supervisor for many years. He attended Harvest Baptist Church in Greenville. Jim belonged to Hartstrings where he played the guitar and sang tenor. He was a board member of the Pymatuning Lake Association. In his younger years, he enjoyed riding his motorcycle. Jim loved to attend games with his friend Chuck and watch on television all types of sports and especially his favorite teams, Penn State Football and the Pittsburgh Steelers. He was an avid fisherman and hunter and enjoyed fishing with his brother Dave. He was a wonderful gardener with quite a green thumb and especially enjoyed watching the local birds. Survivors include his loving wife of 43 years, Julia Slozat; a daughter, Jennifer Gealy and her husband, Luke, of Jamestown; a son, Joshua Slozat and his girlfriend, Michelle Einloth of Charlestown, South Carolina; two brothers, Paul Daniel Slozat and his wife, Marcella, of Harmonsburg and David Slozat and his wife, Chris, of Espyville; two sisters, Catherine Slozat of Linesville and Rebecca Williams of Jamestown; his father-in-law and mother-in-law, Don and Marilyn Hyde of Linesville; and many nieces and nephews. He was preceded in death by his parents, several aunts and uncles and a brother-in-law, Robert Williams. The family will receive friends on Thursday from 4 to 8 p.m. at Royal-Coleman Funeral Home 6028 U.S. Highway 6, Linesville. A funeral service will be 11 a.m. Friday at the funeral home with Pastor Jeremy McClain, of the Harvest Baptist Church in Greenville, officiating. Memorial contributions may be made to the Harvest Baptist Church, 516 E. Jamestown Rd., Greenville, Pa 16125. Please share a condolence or memory of Jim for the family at royalcolemanfuneralhome.com.